With its legacy of more than 40 years of fine winemaking, the Robert Mondavi Winery is a shining symbol of Napa Valley. Founded in 1966, the winery's beautiful architecture by Cliff May reflects the missions of early California history. 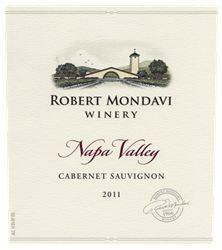 When you come to visit us at Robert Mondavi Winery, you will experience our commitment to education and the arts, pursuit of innovation, and dedication to producing fine wines that stand in the company of the great wines of the world. Come learn about the history of winemaking in California and share in our philosophy of integrating wine, food and the arts into gracious living. Tasting Room Size Large Tasting Room Atmosphere Elegant and sophisticated yet warm and welcoming. 3 different tasting rooms: Appellation (Napa Valley and District Wines), Spotlight Club Room for Wine Club Members, and Tokalon Reserve Tasting Room. Music in Tasting Room: Easy rock, jazz View from Tasting Room: Beautiful view of the Tokalon Vineyard Wine Education: Comrehensive tour and education program available for all levels. Food Available: Contemporary American Cuisine prepared by Winery Chef Jeff Mosher.